Whether you enjoy tranquil walks through the countryside or climbing rock walls, there is something for everyone to get involved in. From the peaceful to the exhilarating, all your options are at your fingertips. 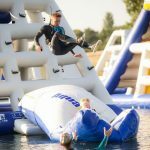 Aqua Park Rutland is the country's biggest Aqua Park, in the smallest county! Perfect for an active, adventurous weekend or birthday in the Summer months. 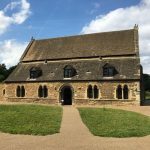 Family friendly and focusing on interactivity, this zoo by Rutland Water encourages people of ages to learn about the fascinating world of bugs. Open 7 days a week. The old Great Hall of the castle boasts a rich history and vast collection of horseshoes. Local dramatic societies perform here. It's a true symbol of Oakham. An outdoor adventure in an ironstone quarry, visitors can go on nature trails and enjoy a train ride. 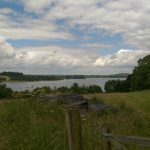 A tour around Rutland Water on the reservoir's biggest vessel, recounting its history and points of interest. Teas and coffees available on board. Visitors can enter for free and look at exhibits about archaeology, rural life and agriculture. Home to exotic birds of prey, visitors can learn about the wonders of the avian world. Visitors can also handle the birds, under the experienced guidance of the staff. Constructed in 1975, Rutland Water is known nationwide as the largest man made body of water in the UK. There is a plethora of attractions and places to eat around it. Designated a European Special Protection Area, the reserve is an important conservational area, home to over 25,000 waterfowl. For those seeking an adrenaline-fueled afternoon, The Rock Blok provides climbing walls of varying difficulties so you can really test yourself.